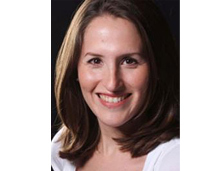 Oriana Skylar Mastro is a Fellow at the Center for a New American Security (CNAS). Ms. Mastro is also a doctoral candidate in the Politics department at Princeton University, where she focuses on military operations and strategy, war termination, and Northeast Asia, China in particular. She is the author of several publications including “Signaling and Military Provocation in Chinese National Security Strategy: A Closer Look at the Impeccable Incident,” published in the Journal of Strategic Studies. A Center for Strategic and International Studies Pacific Forum Sasakawa Peace Fellow, she is also a 2012-2013 University of Virginia Miller Center National Fellow and was a visiting scholar at the Institute for Security and Conflict Studies at the Elliott School, George Washington University and a CNAS Next Generation National Security Leader from 2010-2011. She has worked on China policy issues at the Carnegie Endowment for International Peace, RAND, U.S. Pacific Command, Project 2049, the U.S. Department of Defense and has testified for the U.S.-China Economic and Security Review Commission. Highly proficient in Mandarin, Ms. Mastro also worked at a Chinese valve-manufacturing firm in Beijing as a translator and makes frequent appearances on a Chinese-language debate show. She holds a B.A. in East Asian Studies from Stanford University and an M.A. in Politics from Princeton University.